Over the past few years, Tinder has become one of the most popular dating apps, and not for nothing. One of the key reasons is of course it's ease of use with swiping left or right. The Typical Student team has previously told you about 5 CRUCIAL Mistakes Male Students Should Avoid On Tinder In 2019. This time, we'd like to share an EXTREMELY entertaining text exchange shared by one of the Reddit users that went viral. So, this guy was doing his best to get a girl's number on Tinder, and here's what came out of it. 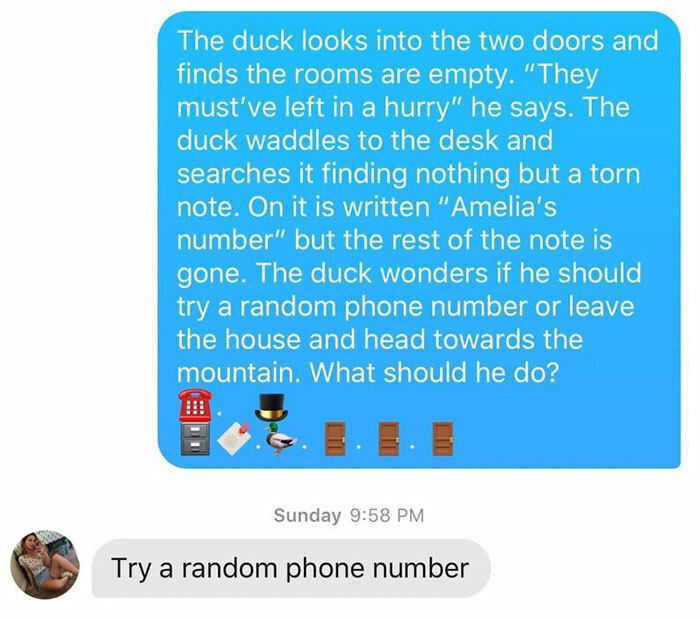 Scroll down below to learn the best "duck" icebreaker ever! How Did Reddit Users React To The Exchange? Reddit users were astounded at the "smoothness" of the guy's play. And we have to say, this is absolutely earned.